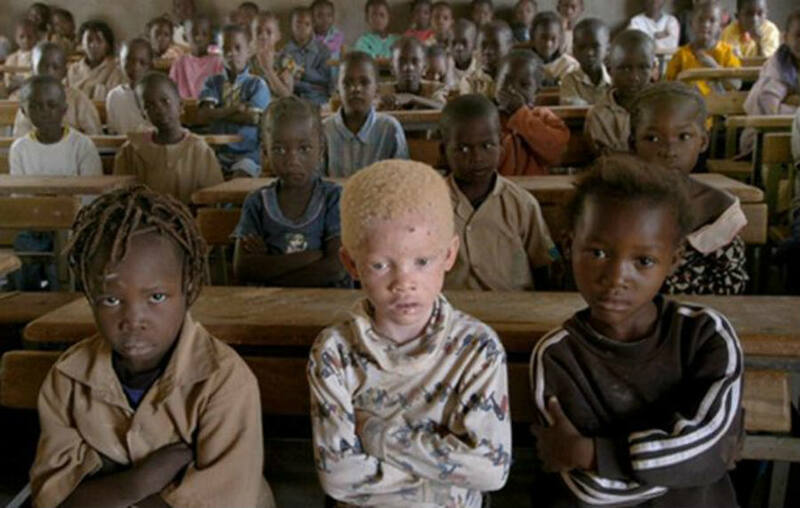 Albino people in Malawi, Africa, live their life in fear to be abducted or killed for their body parts, which are believed to contain magical powers and bring good luck to the recipients. Many albino residents, including babies, have been killed and found later beheaded by criminal gangs or even their family members. Since November 2014, there has been a notable increase in the human right abuses against people with albinism. At least 18 of them have been killed, six just in 2016, and another five have been abducted and are currently still missing, according to a report released on Tuesday by Amnesty International. The non-profit organization has called for action among the international community and the local government, which has failed to protect the right to life for the vulnerable group. According to the organization, there are between 7,000 to 10,000 people with albinism in Malawi who are in constant danger. However, the team also believes that the superstitions are not the only ones to blame for the threat in the group, other socio-economic factors are fuelling the violence against them and the trade in body parts. High unemployment, constrained economic growth, entrenched inequality and grinding poverty set the necessary conditions for harmful beliefs to thrive, Amnesty International stated in its report. The president of Malawi, Peter Mutharika, has previously expressed concerns over the complex situation that the people with albinism are going through, but according to Amnesty International, these fears have not been followed by any actions. Even after dead, the bodies are subject to grave robberies. The bones are stolen and sold for use in witchcraft rituals. Residents do not completely understand why there are white people in their community when the vast majority is black; information has been presented as the key to overturning the situation. According to Malawi Police Service, since 2014 there have been at least 69 cases involving crimes against people with albinism. But even though some criminals have been caught, some claims assure these are often acquitted or given lighter sentences. On April 2016, a 23-months baby girl named Whitney was snatched from her family home in Chizik village, under Traditional Authority Kaperula, in Kasungu district. According to law enforcement officials, the mother went to bed at about 8 pm with her toddler sleeping next to her. At about 4 am when the mother wakes up, she discovered that the child was missing. As soon as Madalitso Leman, the mother, find out that her baby with albinism was missing she alerted other residents in the area, and an unsuccessful search was conducted. Ten days later, two women who were fetching firewood outside the village discovered pieces of skull, some teeth and clothing items which included a diaper. Lemani, 25, identified the objects found as the ones belonging to her missing daughter just before her abduction. The police gathered some suspects, among of which there was the father of the 23-months baby girl.